Our section on Fraternalism & Gender Studies is particularly relevant for a Masonic library. Over the past three centuries SO many groups have been molded by Freemasonry, either directly or indirectly, a number even requiring that their members have passed through the Masonic degrees. There are scores of groups which are directly related to Masonry – and they participate From service clubs like Rotary and the Lions on through college fraternities – and particularly black Greek letter fraternities – countless organizations have formed over the years using trappings imitative of or similar to that of Freemasonry. The degree to which these other organizations were similar differs greatly based on the involvement (or not) in Freemasonry by the founder(s) as well as on the goals and purposes of the group. 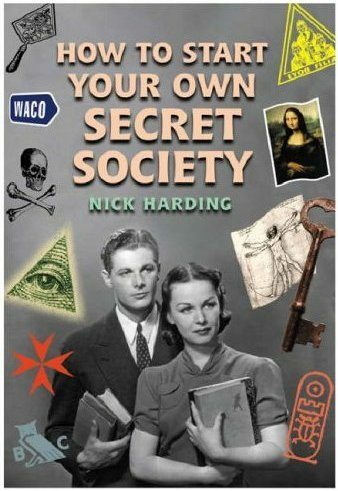 Some were similar only in the most broad sense while others tried to mimic the fraternity of Freemasons in many ways. Some, such as the Ku Klux Klan, were created for mischief and wrong-doing while others such as Rotary had/have high and lofty goals, worthy of support. It is well to remember that simply because there are similarities between other groups and Freemasonry, those groups are separate and apart – and are NOT “Masonic” according to our definition. We are, after all, the Masons – and if we say they aren’t a part of us, all the comparisons in the world will not make it so. Masonry began several hundred years ago when women, although essentially crucial to the survival of the family (and, it could be argued, often assuming positions more important than that of men), were relegated to performing tasks of a more domestic nature. It was the men determined membership qualifications for Freemasonry – and they decided that it was to be an all-male organization. Some would argue that this was for perhaps unknown and unrecognized psychological reasons while others might claim it was sheer sexism (well before such a concept was ever imagined!). Regardless, Masonic obligations decreed that one would not be present at the making of a Mason a woman, old men in their dotage, madmen, etc. And yes, there are stories of two or three women who ostensibly WERE made Masons, this was long, long ago – and is seen as an aberration more than anything else. Are there women Masons today? The United Grand Lodge of England – the premiere Masonic Grand Lodge in the world – acknowledges that there are – but will not recognize them officially. Grand Lodges in the United States don’t agree – but because each grand lodge is sovereign, things simply move on. 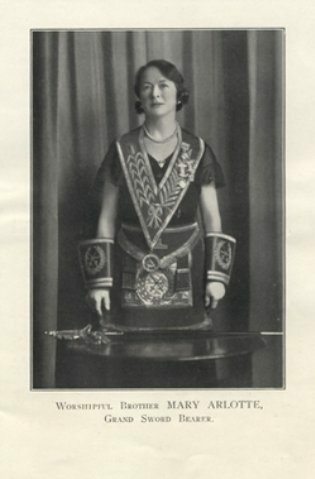 There have been groups of women who have called themselves Masons for well over a century but the vast body of Masons do not officially recognize them as such. It can become a long and convoluted discussion topic as to whether or not Masonry should become mixed, allowing both sexes to participate equally in the lodge or whether that would irretrievably change the ethos of the organization to the point where it would no longer BE Freemasonry. Others would propose ‘separate but equal’, a philosophy which is inherently divisive. Suffice it to say, the Grand Lodge of Masons in Maine does not recognize any female Freemasons. Understanding how and why Freemasonry influenced SO many groups’ formation would be impossible. Suffice it to say that, for many, it would have been hard to find a better template! There is a well-established process whereby each sovereign Grand Lodge determines which other Grand Lodges they will recognize as being ‘legitimate’. However, it should be noted that there are a great many ‘bogus’ so-called Grand Lodges formed for the sole purpose of individual grandeur of the founder and / or financial exploitation of the ostensible candidates.